Earlier this year, Iscariot Media started the roll-out of Digital Tracks – a program for Indigenous businesses in South East Queensland. Delivered in partnership with TAFE Queensland, Digital Tracks is about breaking down the barriers about technology for Indigenous small businesses. Our goals is to build capacity in everything technology from marketing and social media to cybersecurity and hardware needs. While the target industry is tourism, the learnings relate to most small business. And while the specific locations are Brisbane, Moreton, Toowoomba and Redlands, we were lobbied hard by friends and have added the Gold Coast to the mix as well for an intense 5-day event. Delivering the program is not without its challenges – there is the full spectrum of digital readiness in our business community and working out where to ‘pitch’ our materials is a constant challenge. We’re also challenged by the delivery schedule and are going to experiment with running a few virtual events and seeing if we can increase our reach that way. 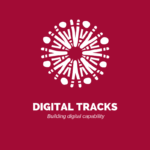 With two months to go on the program, Digital Tracks has been a wonderful learning experience for everyone involved. We’ve pushed ourselves to develop learning materials that are most appropriate for our community. As always we’re committed to providing follow-up learning (lifelong learning is our thing!) so we now have a Digital Tracks Facebook group where we can continue to conversations. We also provide all the slide-decks and materials to participants so they can continue to engage with the materials well after the workshops are over. And next on our to-do list is creating a series of videos of different topics in the workshops. We’re about helping Indigenous small business, and with that Digital Tracks explores ‘hard tech’ concepts through to styling images for Instagram, in a way that is relevant and accessible. Digital really does encompass everything in our businesses and it’s area that can’t be ignored. if you’re in a particularly ‘sharey’ mood, you can register via Facebook. If you feel like there’s a topic we haven’t covered, or if there’s a region in southeast Queensland we haven’t been to and you think we can fill a room at, send me an email and we can yarn.